They contain components that can be rearranged, such as modular shelves, drawers, and cabinets. These components can be configured to the needs of different workers. Modular workstations are beneficial because they are adaptable, have large work surfaces and wraparound comfort, and meet ergonomic requirements. Efficient modular workstations help to organize and utilize all items necessary to carry out specific job duties. They are used in many different industry areas in order to help increase workers’ productivity. They can also be customized to fit particular environments. Customized modular workstations can help to optimize work areas, making sure all space and compartments are being used efficiently by workers. 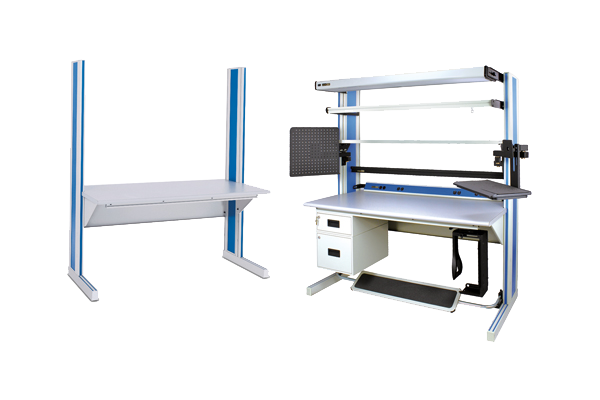 Modular workstations are particularly beneficial for applications and industries including laboratory, for use in computer workstations for research applications; office, for use in designing cubicles for various departments; and industrial, for use in process control and factory automation applications. 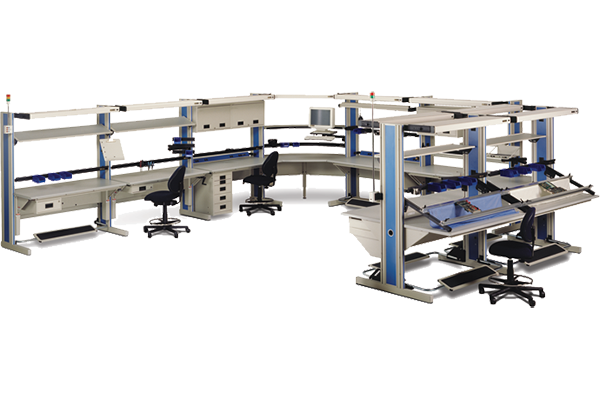 Modular workstations fulfill the function of providing an area for which operators can perform work. Modular workstations are able to fulfill this function through providing a work surface and various attachments suited to the needs of the application. There are many types of modular workstations, both standard and custom made. Computer workstations, desks, command operation centers, work benches, and industrial workstations are some of the most common modular workstations. They are used in almost every industry and by a variety of people including call center staff, factory workers, assembly line workers, air traffic controllers, office workers, clean room workers, and much more. The benefits of reducing worker injuries and stress outweigh the costs of modular workstations, making modular workstations a necessity in many areas. Some of the various components that are used in modular workstations and that allow them to be designed in so many types include shelving, hutches, file drawers, CPU cubbies, monitor shelves, and keyboard drawers. In addition, various possible design styles of modular workstations include corner units, condensed units, and U-shaped units. Modular Workstations Modular workstations, also often referred to as cubicles, are workstations that can be adjusted and moved in various configurations in order to adapt to a specific workers' needs.